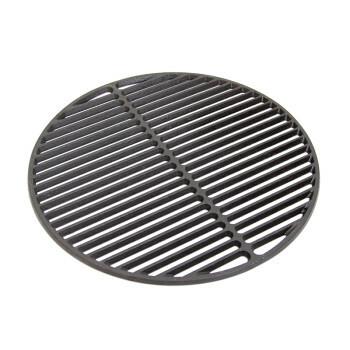 Easily and safely grips and lifts stainless steel and cast iron cooking grids. Stainless steel with soft grip handle. When you need to remove the cast iron cooking grid from the Egg, This makes it simple & easy to do.it is a must have. Love it! Very easy to remove grid and control it even when hot. See no reason to ever own a different one. If anything ever happens to mine, will be buying a new one that day!